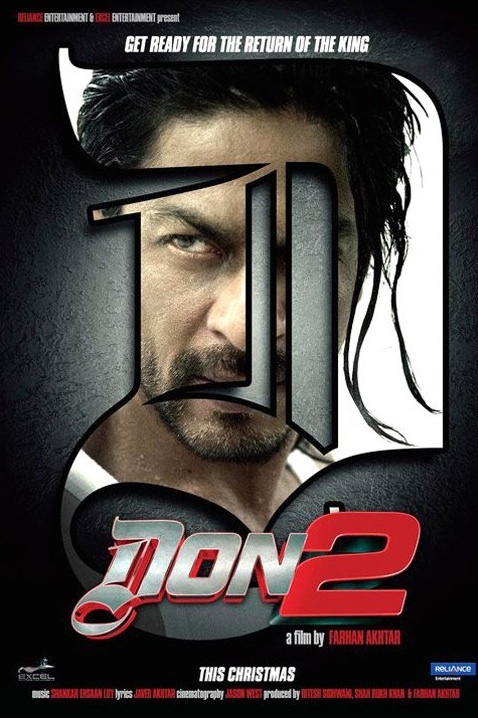 The hype for Farhan Akhtar’s Don 2 starring Shah Rukh Khan started months ago when we first saw the trailer for the film on Youtube. From then on there was no looking back. There was vague talk of East FM hosting the premiere of this much-awaited sequel of Don and this was one bridge we didn’t mind crossing before getting to it. The first Don ever made was with Bollywood superstar Amitabh Bachchan in 1978. In 2006, Farhan Akhtar remade this hit amidst a lot of speculation if it will be a hit or not. After all, the ‘rivalry’ between Big B and the Baadshah of Bollywood was never openly discussed but the undertones were loud enough to create a stir of comparison. Would SRK ever be able to hold up a candle to Big B? Farhan’s Don did well at the box office and was a highly appreciated film so when Don 2 was announced the world eagerly waited to see what the Farhan-SRK team would present to us. East FM’s Operations Director discussed the idea of a world premiere with the rest of the team and there was no looking back from there. The sponsors, Duracoat Paints, didn’t balk or negotiate and went all out support this event and how! The hype created on the airwaves by all presenters was amazing, so much so that people were actually calling to ask where they could buy the tickets for this exclusive world premiere but of course, East FM was only giving out the tickets to the lucky listeners who tried their luck at winning this coveted prize. There is one scene in Don 2 where SRK adorns a smart black jacket and this very jacket was on display in the foyer outside the cinema hall. I must say people are pretty skeptical about such merchandise because there were some non-believers who thought it was just some random ordinary jacket! I’ve not met SRK in real life, just reel life and quickly made out he’s not a very tall person either. My son, after watching the movie said to me, Shah Rukh Khan is not very tall is he? The other guys looked bigger than him in the movie.’ The biased mother that I am, I loved the observations uttered from this 6year old child’s mouth. The movie itself was fantastic, full-on action and drama and high-speed chases, shot extensively over Europe, nail biting situations and amazing cinematography. This is one movie I’d watch again if I had the chance. So once again, East FM goes that extra mile to bring yet another first and end the year with a loud bang. We have also very proudly re-launched our website and you can catch up with all the latest gossip, news, Bollywood releases, trailers, movie posters, interaction with the presenters and also engage with us live on Facebook and Twitter. Log on to www.eastfm.com and join the world of East FM and beyond. Also, I’d like to wish you a Merry Christmas and a very Happy New Year. Enjoy the festive season with whatever you’re doing and thank you for your love and support in 2011.